As Finance Manager, Lindy Schwarz’s responsibilities at Millenia 3 include handling all the day to day financial needs of our company. She provides clients with detailed invoices, monthly statements as well as develops individual customized financial reports for clients which assist them in budgeting and estimating for specific campaigns. Lindy is also responsible for vendor relationships, banking, payroll and all internal employee transactions. Lindy brings over 30 years of professional Banking and Accounting experience to her role at Millenia 3. Most notably, Lindy spent over 11 years in the marketing industry where she had the opportunity to gain valuable experience in not only Accounting but in Sales and Management as well. During this time, Lindy was named Employee of the Year at Florida Marketing International in 1994. 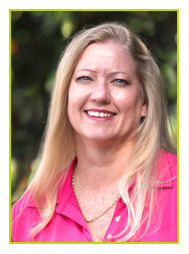 Lindy has also maintained her own successful bookkeeping business for over 10 years. Lindy’s commitment to our clients and vendors, her accuracy, attention to detail, and her diligence have made her a great fit for the culture of Millenia 3.